What does a happy roof look like? Well, the answer to that question largely depends on where you live. While roofs subjected to harsh desert climates face rapid sun damage and deterioration, sun damage in our home of the ever-cloudy Pacific Northwest isn’t so much of a concern. 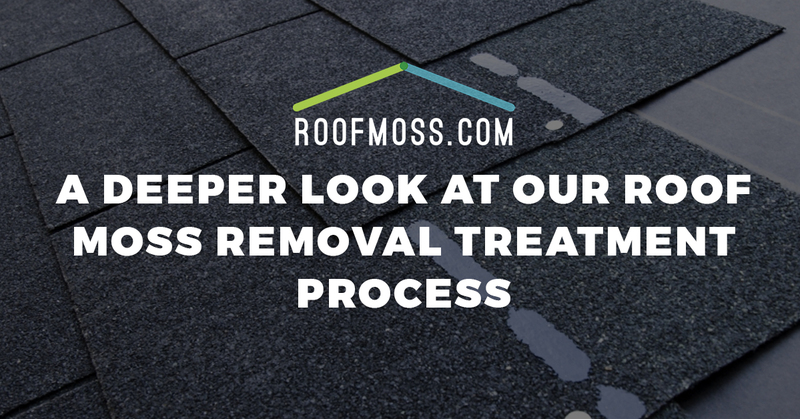 If our brand name didn’t imply it, there’s really one main problem that we’ve dedicated our efforts to addressing: roof moss. Moss, lichen, algae, and other organic material tends to favor dark and wet environments. Due to the fact that Washington state and other surrounding areas frequently experience rainfall, this means that things tend to get wet…and stay wet. Ultimately contaminating your roof and progressively wearing it down, the roof algae removal and moss removal experts here at RoofMoss.com can stop these invaders in their tracks and save your roof — all while being friendly to the environment. Really, it’s a win-win for everyone involved. Well, except for the moss and algae growing on your roof. If you’re curious about our process, feel free to check it out by reading below. Otherwise, if you’re ready to take control of your roof moss or roof algae situation, reach out to the best roof moss removal company near Seattle today! Extreme high-pressure washing systems can be too powerful, resulting in blowing chunks of your roof off. Seriously! RoofMoss.com uses a low-pressure washing system combined with our safe-but-powerful cleaning solution that specifically addresses moss and algae. You’re guaranteed to see immediate results, and your roof (or your roof’s warranty) won’t be harmed in any way. Sounds like a pretty good deal to us. Applying extreme force to your roof is no good. Heck, even walking on it can put a significant amount of stress on your roof. While roof brushing does remove moss and other unwanted organic matter, this can result in a prematurely-worn roof. That defeats the purpose of our roof moss removal services a little bit, doesn’t it? Steer clear of the metal bristles that scrape at your delicate roof shingles (the thought actually makes us cringe) and hire the guys who truly respect your beautiful roof for what it is. It’s easier said than done to effectively remove these organic trespassers on your roof. Mere water doesn’t do the job — if anything, that would actually exacerbate the problem. However, harsh chemicals can damage the overall health of your roof. Using completely biodegradable solutions to target your roof filth, we safely sanitize the surface, giving your shingles a shiny luster without harming anything else in the process. When you work with RoofMoss.com, the environment wins, your roof wins, and your wallet wins. That’s a win in our book! Get your very own instant estimate today for our roof moss removal services near Seattle or feel free to contact RoofMoss.com with any questions.